Everyone is very curious to know the result of CAT 2019. The test was held on 25th November 2018 at many centers across India. More than 2,00,000 students took the test on the pleasant sunday. Similar to last few year trend, this year also CAT took in 2 slots. A week after the examination, IIM Calcutta released the Answer sheet of each individual who took the test and an objection form for any query. A week later IIM Calcutta released the correct answers of all the questions asked in the test. CAT aspirants were able to check the answers and subsequently got their raw scores. Since then a lots of speculation is going about the scaled score, scaling process and final percentile. 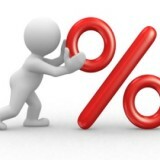 Aspirants have asked a lots of questions on various forums on facebook and pagalguy about their expected percentile and the colleges they might get. 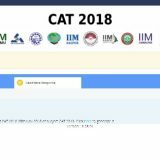 Meanwhile on 1st January 2019, many aspirants were able to check their score as well as percentile on cat website iimcat.ac.in using HTML codes. It is still unclear that the results which were visible were actually correct or wrong. A lots of speculation is going on in this regard. 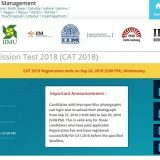 IIM Calcutta has already clarified that the CAT result are not out yet. Today morning Indian Express has come up with a report that the CAT 2019 result will be declared on 5th January 2019 at link “https://indianexpress.com/article/education/cat-result-2018-declared-iimcat-ac-in-5519532/”. So, guys mark the date and wait for the Saturday morning. 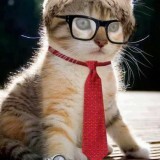 Hopefully, as per the report CAT administration will announce the result by 5th January. As per last year trend, Individual SMS may also be sent to each candidates informing them of their overall percentiles.